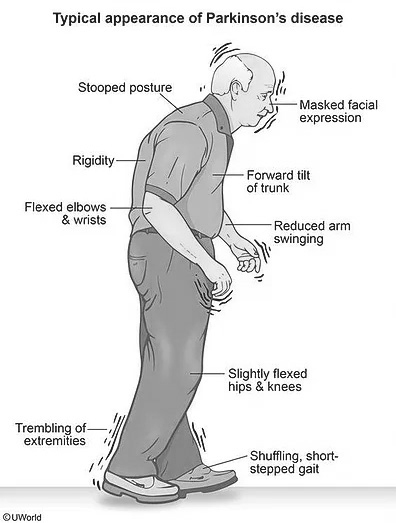 Patients with Parkinson’s Disease (PD) experience motor symptoms such as muscle rigidity, tremors and changes in speech and gait. Over one million people in the US and over seven million people worldwide suffer from Parkinson’s. PD is a neurodegenerative disorder caused by the diminished production of dopamine. Even when treated with the current standard of care, the majority of patients with advanced Parkinson’s disease continue to experience motor complications and “Off” time. These motor complications reduce patients’ ability to lead productive, independent lives and are recognized by patients, caregivers, and healthcare professionals as one of the most troubling and debilitating issues associated with the disease. As PD progresses, it becomes increasingly difficult to control the motor symptoms with drug therapy. The therapeutic goal is to achieve a near-constant level of dopamine in the brain, which requires achieving a near-constant level of levodopa in plasma. Low levodopa levels result in the return of motor symptoms, while high levodopa levels result in dyskinesias, hallucinations, and nausea. The motor symptoms and dyskinesias are collectively referred to as "motor complications." Standard levodopa treatment is oral delivery in pill form, which routinely results in over- and underdosing of levodopa. Instead of a smooth, predictable therapeutic response to levodopa medication, people with advanced PD experience "motor fluctuations" such as failure of a levodopa dose to provide any therapeutic effect ("dose failure"), early loss of symptom control ("wearing off"), or sudden switches from "On" to "Off" state. Advanced PD patients can experience many hours per day of motor complications. Despite over 40 years of effort, drug makers have failed to develop a controlled-release oral form of levodopa that eliminates the extensive Off time experienced by many people with advanced PD. This is due to the underlying causes of the response fluctuations: the short half-life of levodopa in the body and its absorption in only a short segment of the duodenum. A practical, patient-friendly, non-invasive and continuous infusion therapy for achieving stable levodopa levels in the body is required. SynAgile has developed DopaFuse, which uses the OraFuse system to non-invasively deliver levodopa at a constant rate. DopaFuse is currently under development and will begin clinical trials in 2019.